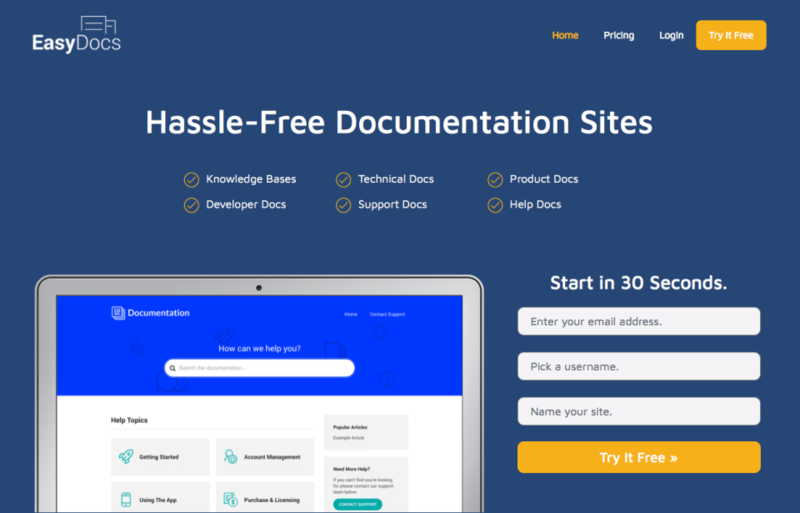 EasyDocs is simple documentation software to create help docs, knowledge bases & more. Step 1: Signup - Start in under a minute. No credit card required. Step 2: Customize - Add colors, logo, domain name & more to fit brand. Step 3: Add Docs - Our editor makes writing documentation easy. Stop using cumbersome documentation software, use tools as focused as you are. Life's too short for bloated, overpriced software. We designed ours so you'll be a master in minutes. Pros: it is easy to use the app.there is designed UI. and the best thing is the app have more options. Cons: Price should be somewhat less. Few more advanced features must be added.